Mayweather took to Instagram on Saturday morning to post a video in which he says he is coming out of retirement to fight in December. His potential opponent? Manny Pacquiao. Mayweather made about $220 million from his May 2015 fight with Pacquiao and at the time posted a photo of a $100 million check — his guaranteed purse from the bout. 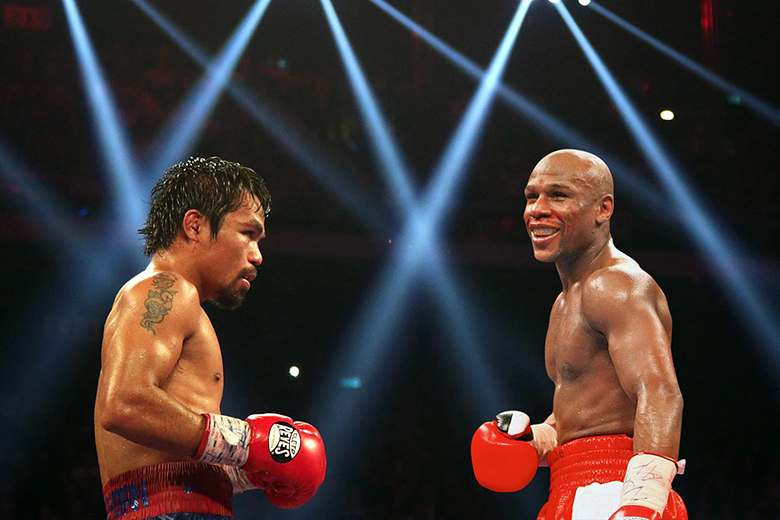 The fight itself failed to reach many fans expectation and hopes as Mayweather toyed with Pacquiao for much of the fight. Saturday’s Instagram posting includes a video of Mayweather and Pacquiao talking to each other at a music festival in Tokyo, although it is difficult to hear what the men are saying. Mayweather and Pacquiao fought back in May 2015 at the MGM Grand in Las Vegas, Nevada, in a bout Money won by unanimous decision. And speaking of money, that showdown brought in approximately $500 million in revenue.